The first Republican House member has joined Democrats to support a rollback of the Federal Communications Commission's (FCC) dismantling of net neutrality. 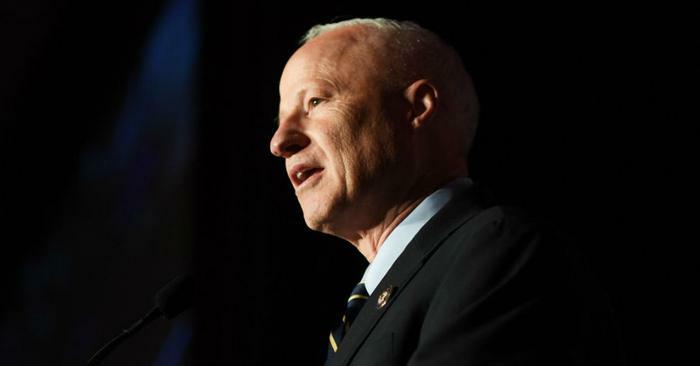 Rep. Mike Coffman (R-Colo.) has said he will support a measure to use the Congressional Review Act to overturn an FCC vote last December to change the policy, formalized in 2015 under the Obama administration. In an op-ed piece, Coffman notes that the policy of barring internet service providers (ISP) from favoring one type of content over another was a longstanding practice before it was codified as official policy, and that it has Republican roots, from the George W. Bush administration. Coffman said the FCC under Obama took steps in 2010 and 2015 to “further solidify these net neutrality principles.” The FCC action under the Trump administration, he says, was a complete reversal. At the same time, the Colorado Republican has introduced legislation that contains many of the net neutrality protections contained in the 2015 FCC regulation. At the moment, Coffman may be a lonely voice within his party, as most Republican lawmakers have not supported net neutrality. But among advocacy groups hoping to overturn the FCC's most recent action, Coffman's defection is a hopeful sign. Shakir and others note that net neutrality has been observed from the beginning of the internet. Because internet connections used telephone lines, the same principles regulating telephone companies were applied to the internet. Because they are deemed “common carriers,” telephone companies are required to treat all traffic the same. The FCC's 2015 regulation essentially classified the internet as a common carrier as well, applying those same restrictions. Opponents of net neutrality point out that very little internet traffic moves over telephone lines these days and that companies investing in wireless and cable infrastructure should be free to control their networks. Earlier this year, the Senate approved a Congressional Review Act measure to overturn the FCC's abolition of net neutrality. Even supporters acknowledge the challenges of getting the provision through the House, where Republicans hold a comfortable majority.